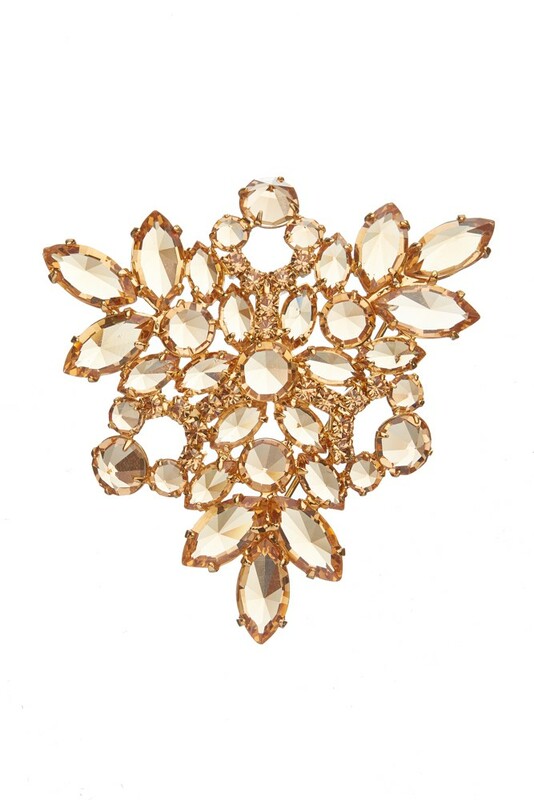 Beautiful brooch made from Czech rhinestones. Original design. Brown topaz. Size cca 6 x 6 cm. Acid gold plating.